The Holiday Inn Resort at Ko Phi Phi is located overlooking the beautiful Laem Tong Beach on the north eastern tip of the Island. 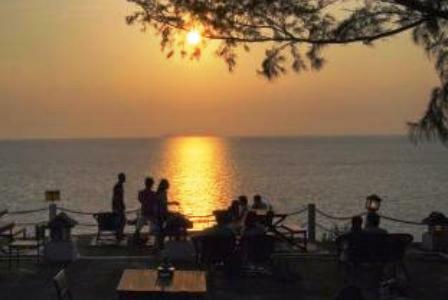 This area of Ko Phi Phi and the location of the resort is perfect for couples looking for a romantic getaway or for family beach vacations away from the crowds of Tonsai and Loh Dalum Bay. 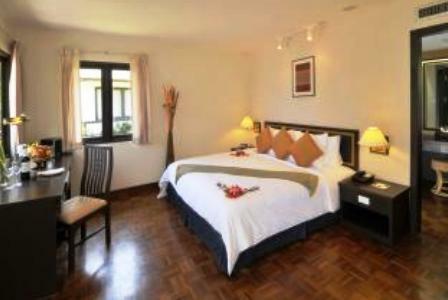 The Holiday Inn has 97 rooms, consisting of 77 bungalows and 20 studio rooms. The Garden Bungalows are surrounded by beautiful tropical gardens. The Superior Bungalows have limited ocean views. The Beachfront Bungalows have direct beach access. 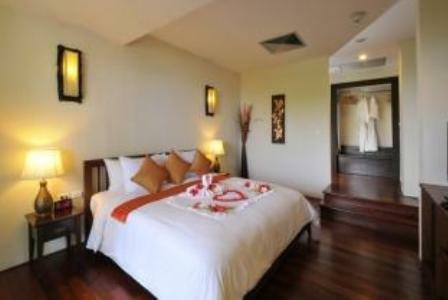 The Coral Deluxe Studios are located close to the infinity pool. 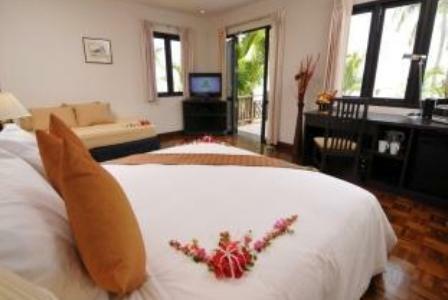 The Coral Beach Studio provides direct access to the beach. 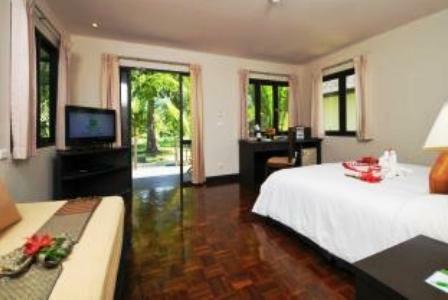 Interconnecting bungalows and baby cots are available on request for family vacations. All bungalows and suites at the Holiday Inn are non smoking rooms. The Holiday Inn at Phi Phi has two beautiful swimming pools, a kid’s pool, two Jacuzzi s, a sauna room, a first aid centre, a fitness room, 24 hour security and gift-shop. There is a host of fun activities for the kids as well as the grown ups at the Holiday Inn, including a Water Sports Centre with snorkeling, kayaking and wind surfing. A 5 Star Padi Dive Centre, beach football and volleyball, a tennis court, badminton, basketball, a games room with a full size snooker table, dart boards, and a movie room. 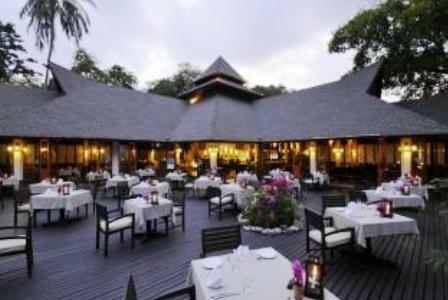 There is also Thai cooking classes, cocktail classes and game fishing that are also available. Kayaks and snorkeling equipment is free of charge when used at the beach in front of the Holiday Inn. The Holiday Inn has a good selection of bars and restaurants. Directly on the beachfront is Chabah Restaurant, which is open for lunch and dinner with a good selection of seafood, international and Thai cuisine. Tai Rom Prao Restaurant is open for breakfast and has a selection of a la carte and buffet dinners with weekly theme shows. The views from the Sunset Bar are amazing and one that shouldn’t be missed, or sit back and relax at the resorts beachfront bar. The location of the Holiday Inn Resort on Ko Phi Phi, is definitely secluded so if you’re in search for a private and very relaxing beach vacation this is the perfect spot. However, if you’re looking for lots of night time activities you may be better off staying at Tonsai Village or Loh Dalum Bay. 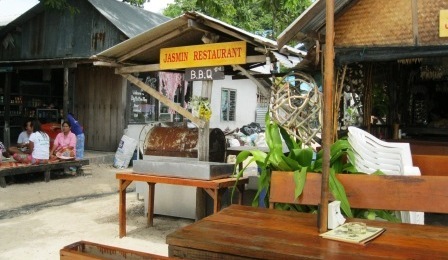 For authentic, delicious and well priced Thai food it is worth heading to the Jasmin restaurant, located near the Sea Gypsy Village. To stock up on water, alcohol and snacks it is cheaper to go next door to the Sea Gypsy village then buying them at the resort. From the Holiday Inn, you will need to take a longtail boat to see all the attractions around Phi Phi, the resort have their own boats that you can hire but again it is cheaper to hire a longtail boat at the Sea Gypsy Village. The Holiday Inn at Ko Phi Phi is a fantastic choice, read resort reviews written by other guests that booked their stay on Agoda. 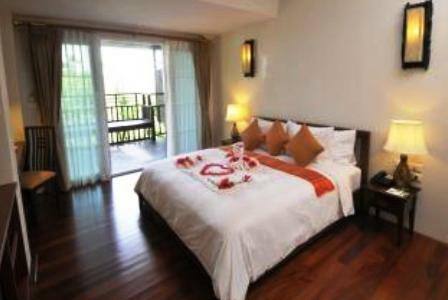 Or see what other travelers thought of their stay at the Holiday Inn Resort at Ko Phi Phi on Trip Advisor.